This week we say farewell to a Boston institution. 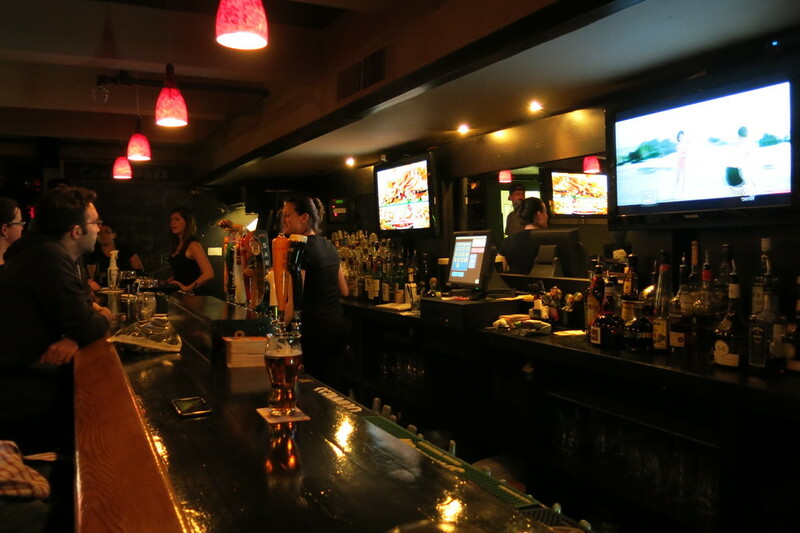 Nestled among the brownstones of Beacon Street, Crossroads Irish Pub has long been a humble, unassuming fixture of the Back Bay. On April 15, after more than 30 years, they’ll wipe down the bar one last time, turn off the lights, and lock the doors for good. 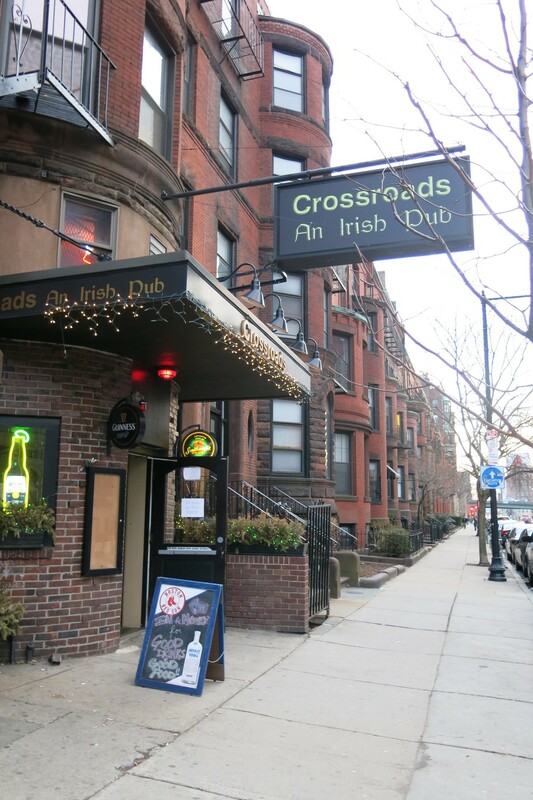 In a city full of Irish-themed pubs, nothing about Crossroads was particularly remarkable. They had a decent beer selection, but not an extraordinary one. You wouldn’t go there if you were looking for hip, fancy cocktails. There wasn’t anything on the menu you couldn’t get somewhere else. But in a neighborhood dominated by trendy, upscale bars and eateries, Crossroads stood as one of precious few alternatives. It was comfortable, homey, and down to earth. I wish I could regale you with some personal stories about Crossroads. I’d love to tell you how badly I’m going to miss it. The truth is, apart from my brief visit this past week, I probably only went there once or twice over the years. But it’s impossible to set foot in a well-worn bar like this and not hear the distant echoes cast by three decades’ worth of clinking glasses and boozy, late-night sing-a-longs. Crossroads’ atmosphere was friendly and unpretentious, but the vibe changed depending on when you were there and what you were in the mood for. If you worked or lived in the Back Bay, it was a regular after-work watering hole. For students, it was an affordable, late-night destination with good music and tables pushed against the walls to make room for mingling and dancing. On Tuesday nights, it was all about trivia. It was a place to relax and throw some darts. But for some people, it was much more than that. Crossroads is where someone bought their first legal beer. More than one couple had a first date here. A nervous crowd, clad in baseball hats, watched the Sox break an 86-year championship drought on Crossroads’ TVs. Throngs of students from nearby schools came here to blow off steam after finals. New jobs or promotions got celebrated here. Broken hearts were numbed with tequila shots and High Lifes at the bar. I’m not sure exactly why Crossroads is closing. There was a rumor that Boston University bought the building and is repurposing it. That’s entirely plausible, given BU’s apparent quest to own every building in the city, but BU says it isn’t so. I suppose it doesn’t matter. Whether we shake our fist at a heartless antagonist or cry in our beer, it is what it is. As for Boston losing an Irish pub…well, I think we’ll survive. There are always exciting new bars opening. There are new experiences to be had, new traditions to begin. Even the people who own Crossroads have a new bar, Carrie Nation, opening this month. But that’s small consolation if Crossroads was your place. With enough capital, anyone can build a nice new bar. But replacing a neighborhood pub that had deep roots and a sense of character? That’s another matter. If Crossroads was dear to you, go celebrate it while you can; you won’t be alone. If you’ve never been but want check it out, there’s no reason you can’t. Your first visit might also be your last, but that doesn’t mean you won’t make a few memories while you’re there. Crossroads wasn’t a bar I frequented, but I know how it feels to see one of your favorite haunts close its doors. And clearly, people are going to miss this place. A Facebook page dedicated to Crossroads’ closing is full of warm reminiscences and old pictures; maybe you have a story of your own to contribute. Or maybe you want to stop in for one more look at the old place. Last call for Crossroads Irish Pub is on Monday; between the weekend and the marathon, chances are the bar will be packed. So you might be elbow-to-elbow with other revelers; it might take you a few extra minutes to get the bartender’s attention; and at some point, they’ll probably run out of food. But you only get so many chances to say goodbye. Update: If you missed your chance to have one more Guinness at Crossroads, you're in luck – they're now staying open until Saturday, April 20.